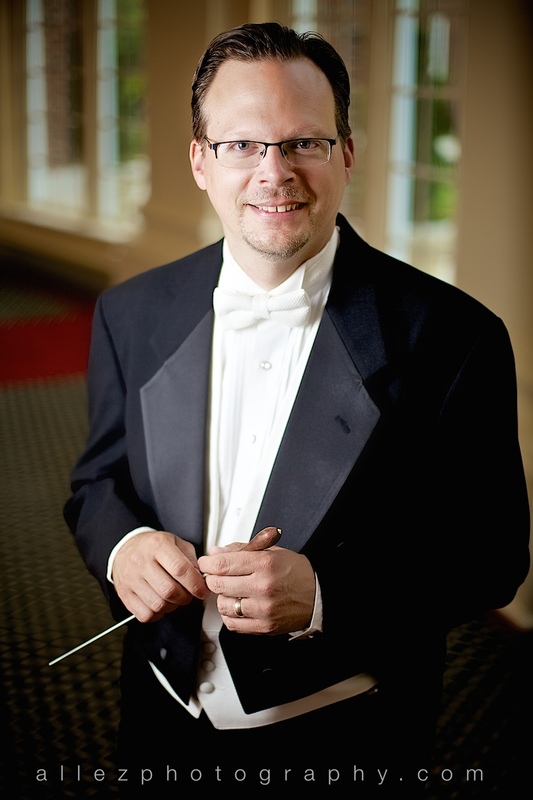 Brian Meixner is an active euphonium soloist, conductor and educator, currently Associate Professor of Music at High Point University where he serves as the Director of Instrumental Studies, Director of Bands, teaches studio low brass, and conducts the HPU Community Orchestra, and the HPU Brass Ensemble. Brian is the Founder, Music Director, and President of the North Carolina Brass Band, a professional ensemble that has developed a stellar reputation as one of the finest musical groups in the region. The NCBB recorded their debut album, "First In Flight", in 2014 and their second album, "Christmas Wrapped in Brass", in 2016. Brian is also the Music Director of the North Carolina Youth Brass Band, an all-star brass band of high school students from North Carolina's Triad region and beyond. Brian's career as a euphonium soloist and performer is highlighted by his album, "Praxis" - music for euphonium and percussion, released on the Potenza Music label. This album includes both works for euphonium with percussion ensemble and euphonium/percussion duo. Music on the recording includes the compositions and percussion virtuosity of Nathan Daughtrey. Brian and Nathan have performed their euphonium + percussion duo repertoire in recital at universities and several music conferences/festivals. "Praxis" is available here on this website, through Potenza Music and is also available on itunes/cdbaby. Listen HERE for sounds samples from this innovative album! Brian has held the position of Assistant Conductor of the River City Brass Band, where he played euphonium full time for six years. He has been featured with the RCBB on several performances, both as a euphoniumist and conductor. In addition to his duties with the RCBB, Brian played euphonium and trombone for several years with the River Bottom Quartet, a diverse low brass chamber group composed of River City Brass Band members. Other chamber ensemble activity includes playing euphonium in Tubas In The Sun, a quartet of tuba and euphonium talent in central North Carolina. Brian has previously served on the faculties of UNC-Greensboro, Slippery Rock University, the University of Texas at Arlington and Texas Woman’s University. He also served as the Euphonium Teaching Fellow at the University of North Texas, where he completed a DMA in Euphonium Performance. Brian has participated actively as a performer in numerous professional ensembles and as a conductor of various professional, university, and high school honor ensembles. Brian is currently principal euphonium in the Piedmont Wind Symphony. He has also been featured as a euphonium solo artist and clinician with several professional ensembles, various universities, community bands, high school ensembles, brass bands, and state, national and international music conferences. Brian’s primary euphonium teachers include Dr. Brian Bowman, Dr. Skip Gray, Dr. Hugo Magliocco and James E. Jackson, III. Brian has been active promoting and commissioning new music for the euphonium, including several pieces for euphonium and percussion on his aforementioned album, "Praxis". Other commissions include the 2010 composition for euphonium and wind ensemble, “Cri de Coeur”, by renowned American composer Libby Larsen. In addition to “Praxis”, Brian can also be heard on his previously released solo album, “Genesis”, and on the River Bottom Quartet’s recording, “In Too Deep”, both of which received glowing reviews. Also, more recently on "Dialogues", a collaboration with Jennifer Dearden, trumpet, and Kevin Dill, piano, released on the Potenza Music label.